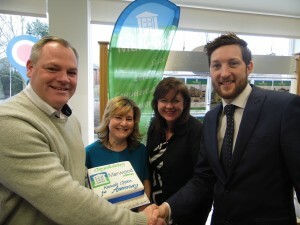 At Marwood Homes we are delighted to celebrate our one year anniversary of opening our Knowle, office on Station Road. “Over the last year we have worked tirelessly to establish the brand as a well-regarded, honest and hardworking full service estate agency practice. Our hard work and dedication has seen us grow substantially not only with the large number of properties we have sold around the borough into Warwickshire and Birmingham, but also with the additional services we have added together with the additions of Pamela Cook and Shirley Moroney joining the team. This has quickly enabled us to not only compete, but in most cases outperform the long established estate agents. We are now firmly an established and recognisable local brand which has the leadership, experience and backing to continue to grow and build on our hard earned success, forging out an unrivalled reputation”. Having spent the majority of his estate agency career in Solihull and Knowle, Mark has sold all manner of properties from family homes, new builds and apartments to country homes, farms and investment properties. Mark’s connections and experience in the region, the team’s proactive approach and friendly manner coupled with their creative negotiation skills and ability to think outside of the box, have proven the key to their success and has quickly earned them enviable local reputation. All of team live locally and in their spare time you will often find them participating in local events, in and around the borough. “We will continue to invest and grow our business throughout the region offering a service to our clients which sets us apart from other agencies. To find out why so many of our clients have commented on how refreshingly different and attentive we are, please call us on 01564 731 011 and arrange a FREE market appraisal”. New Knowle branch gets off to a flying start! A beginner’s guide to Help to Buy: is it for me?